Rizza Health and Wellness has been dedicated with providing the masses with premium information in the health and wellness industry for over 20 years. From basic training tips to advance neuromuscular training, customized nutrition plans to blog Forums. Rizza is a website with a mission to transform you physically and enlighten you mentally. Our "meditation centre" will allow you to feed the mind & soul. The "O.C. "(Online Coach), will help you advance in your physical journey. "Mealplans"(MealPlan4u.com), will assist u & help you customize your meals so you're getting the proper amounts of proteins, carbohydrate, good fats, vitamins and nutrients for optimal health. Check out our "blog" section or "contact" us via social media, we'd love to hear from you. 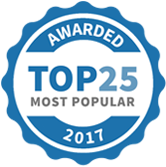 Rizza.ca has been selected as one of our Most Popular Coaches!